We just printed our boarding passes. The bags are being packed with our judges badges, cameras, laptop and a case of Pepto-Bismol. We are going to eat our way through Missouri. Ms. Goofy has researched and planned many food destinations. On Sunday we will be judging at the 'American Royal' competition. This may be the Ultimate Meat/Food Adventure. We will be talking to you from Kansas City very soon. Kansas City here we come! The curtain will rise and the lights will be dimmed. The spotlight will shine on to center stage to illuminate a slab of cured pork belly from Country Butcher. 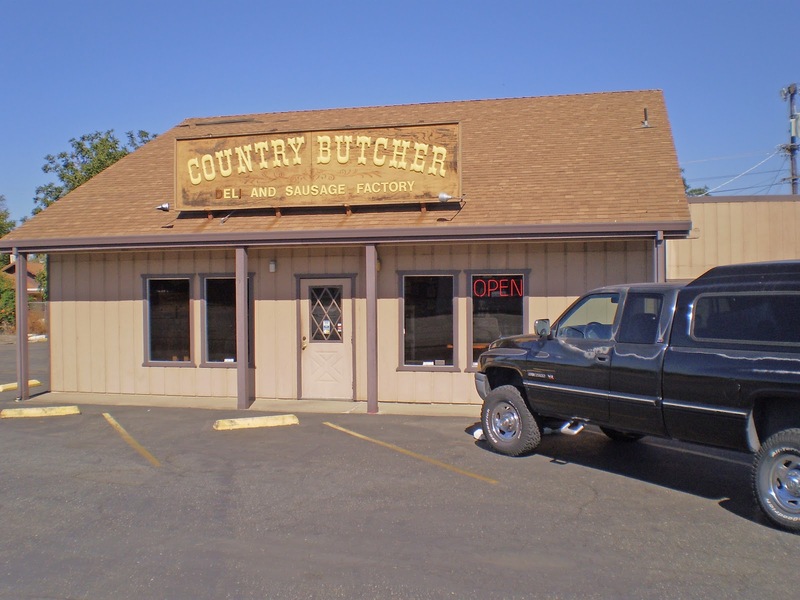 Country Butcher is a full service butcher located in Olivehurst California. This meat emporium has a full plate of cured meat products. Ham, bacon, sausage, and a large selection of marinated meat roasts are all displayed for purchase. Today we will showcase their bacon. 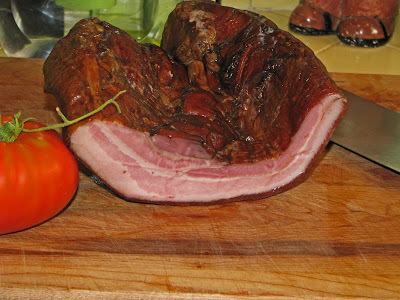 The first good sign of the quality of this bacon was the rind was removed. 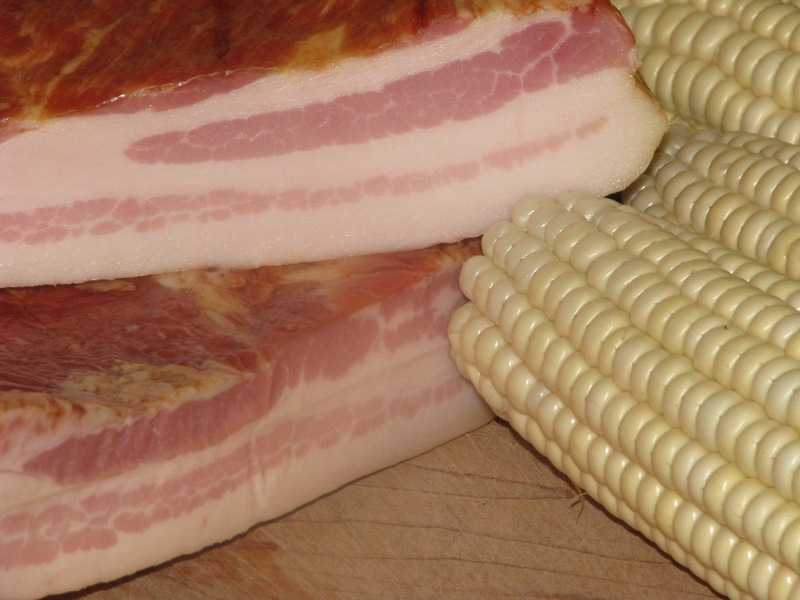 As some of you may know, rind on' is a crime against bacon nature. The bacon to fat ration was very decent. Once the bacon was removed from its protective covering no smoke aroma was present. The real test will be how this bacon tastes after kissing some hot black iron. The bacon fried up to a crispy crisp stick of pleasure. Salt and sugar did not really grab your attention. This can be a good thing because it demonstrates a good balance of seasoning. Unfortunately smoke flavor was not present either. 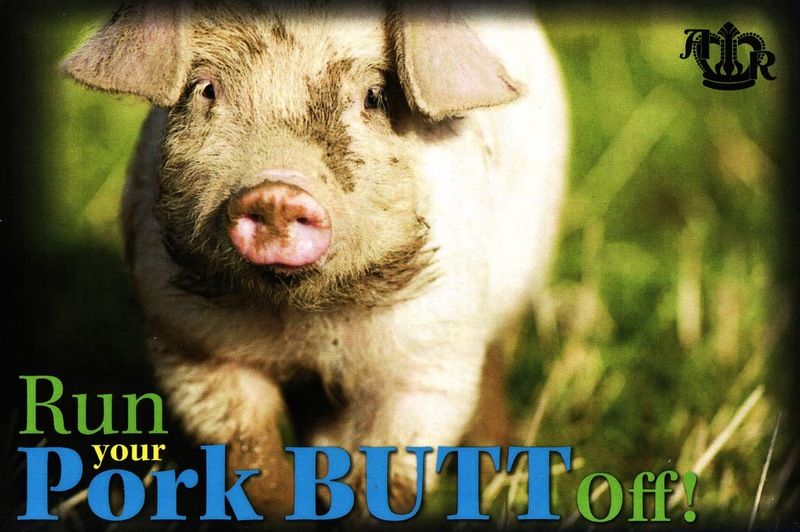 The bacon did have a good pork flavor. This bacon was very decent but it just did not have any one component to ring the bell. Country Butcher will receive 3 stars out of 5. Where: 5860 Feather River Blvd. “Sometimes I clown, and step back and do the Chilebrown.” This is a story about Mexican corn tamales. My inspiration is James Brown and a local magazine called “Edible East Bay”. An article describes and talks about a special corn called ‘Mexican Corn”. 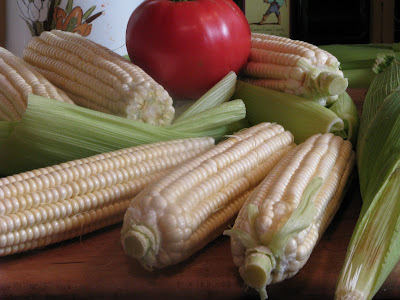 This corn is not your usual sweet corn but a starchy/sweet corn specially grown for masa. When you grind it, add spices, and then cook it, you will have a special tamale treat. This corn is grown in Fremont California at the Ramirez farm. This farm is located in the middle of an urban setting. It is a beautiful farm with all its flowers, corn, and vegetables growing in our crowded ‘Bay Area’ region. This was definitely a food adventure for Ms. Goofy and I. We set our GPS to navigate to the Ramirez farm. One hour was the estimated driving time, without factoring in the usual traffic. The corn stalks were 12 feet tall. The flowers were blooming with smiles to greet us. The Ramirez farm was our goal and we had arrived. We bought a dozen ‘Mexican Corn’ and several other food items. 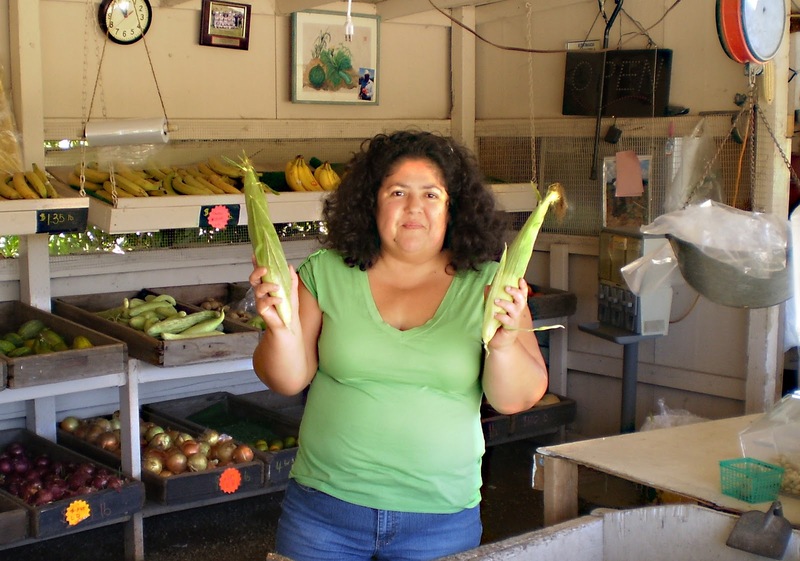 The vegetable technician who helped us asked what we were going to do with this special corn. We explained our quest and she gave us some helpful advice. The recipe is simple and easy. Peel away and reserve the husks. Cut the corn and reserve the cobs to line your steam pot. 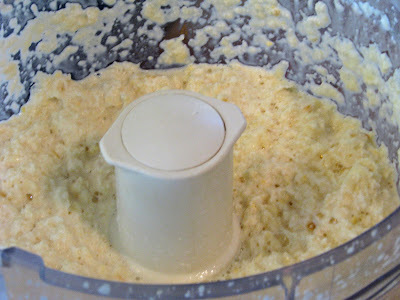 Place corn kernels in a food processor. 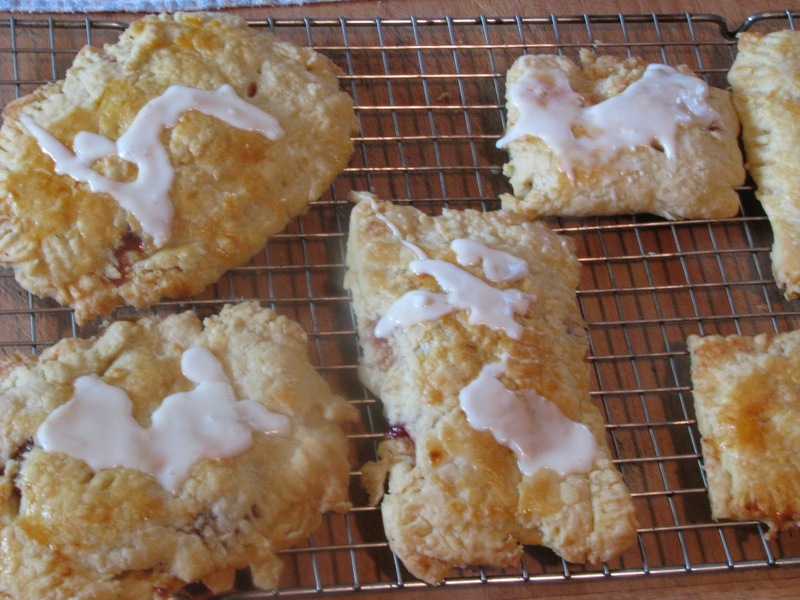 Add 1½ teaspoons salt, 2 teaspoons sugar and ½ teaspoon baking powder. Whirl to create a soupy consistency. 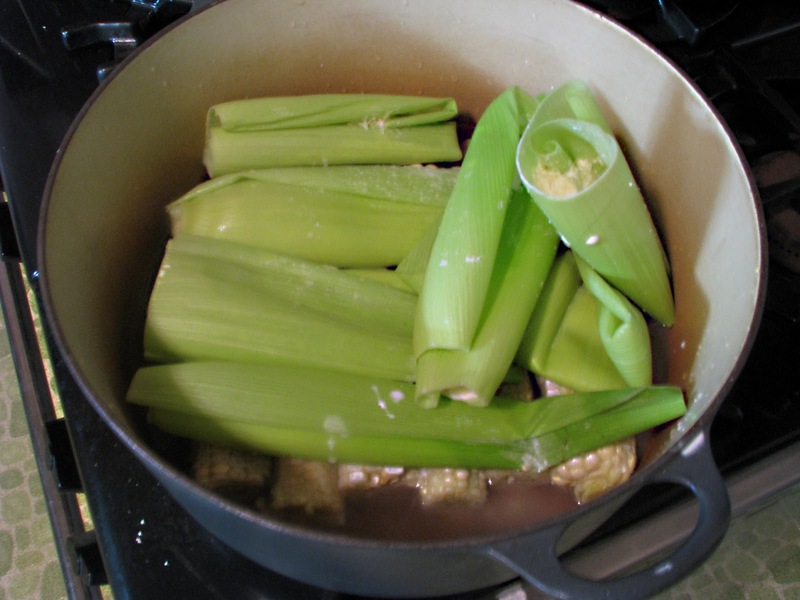 Place ½ cup of corn mixture into reserved husks and fold into packets. Steam for 30 minutes in cob lined pot. This food adventure was a success. This tamale was sweet with corn flavor. 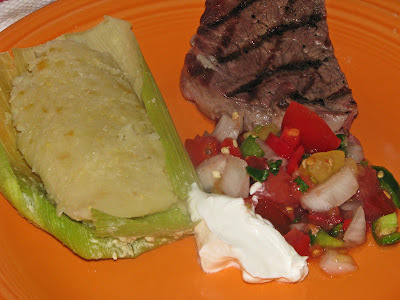 This corn tamale was the perfect accompaniment to our steak and salsa from the garden. 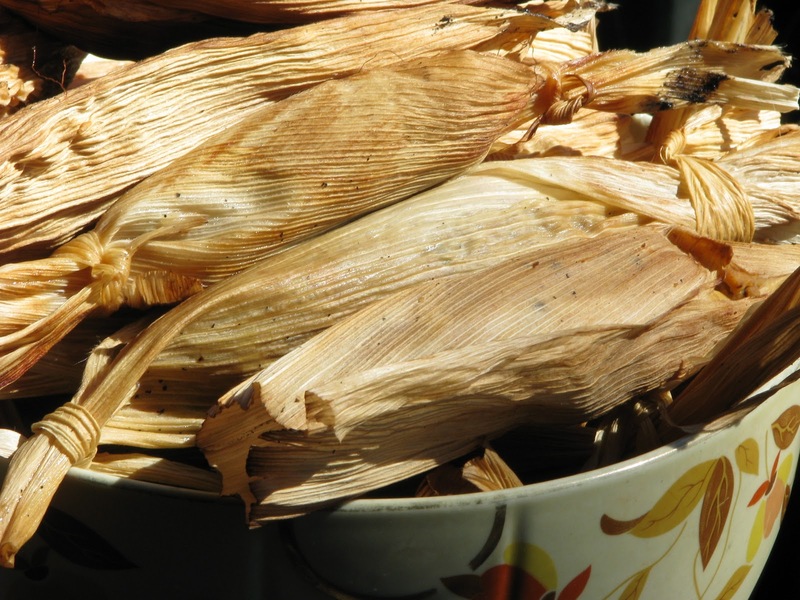 Something so simple, but so comforting and delicious were these Mexican corn tamales. 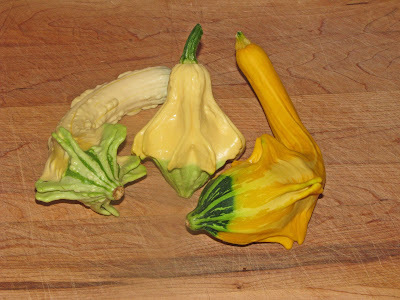 We have a mystery squash plant growing in our backyard. We have no idea of its pedigree. It was purchased at a farmers market labeled only as heirloom. 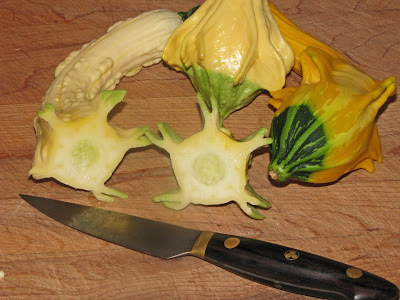 This squash is very colorful and unique in its shape. Our next question is how do we cook it. We are a little squash challenged here at Mad Meat Genius. Anybody have some suggestions? Cameron Park, California was the location of the first ‘Ribstock’ (Peace, Love & BBQ). 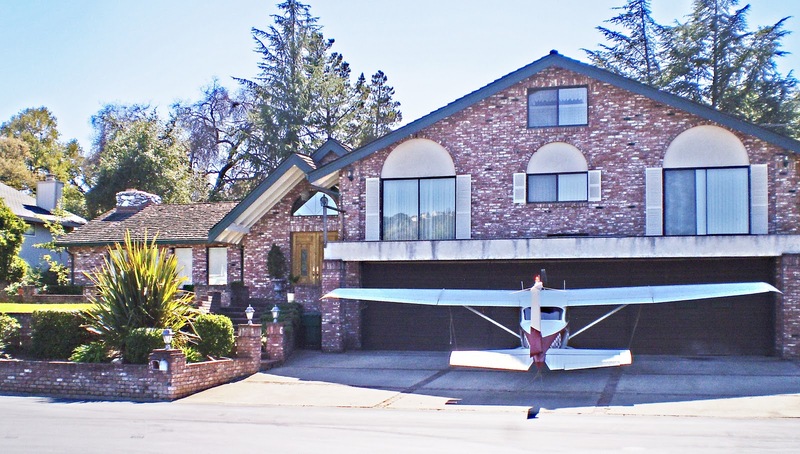 Cameron Park is a unique community because of their airport district. This district has a private runway to land personal aircraft. The streets are very wide to accommodate airplanes to taxi to their homes. Needless to say the resident’s garages are very large. This was quiet the site to see. We arrived at Ribstock in a more conventional mode of transportation. 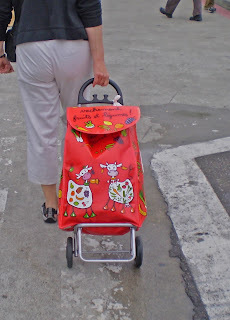 In fact it was Ms. Goofy’s ‘Formula One Racing Honda’. The BBQ competitors were wrapped around a beautiful small lake. In the morning a foggy mist rose from the lake to mingle with the sweet smell of barbeque smoke. We performed our difficult duty to judge these Warriors of the ‘Barbeque Pit’. I say difficult because, everything presented to us was so good. Ribstock was a fun family affair. Amusement rides for the children and groovy music for the adults. Numerous craftsmen sold their wares. 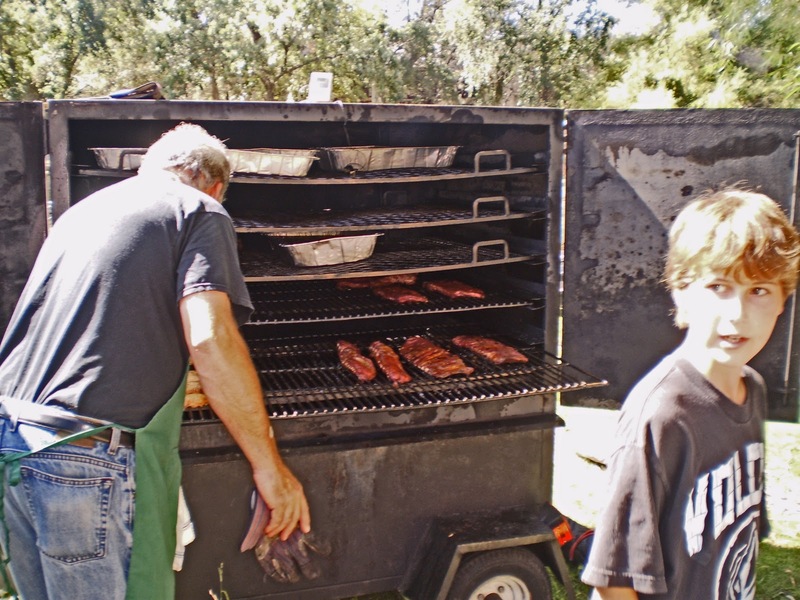 Barbeque was available for purchase by the taste from competitors or a complete meal from local BBQ vendors. All this took place in the beautiful tree shaded ‘Cameron Park Lake’. 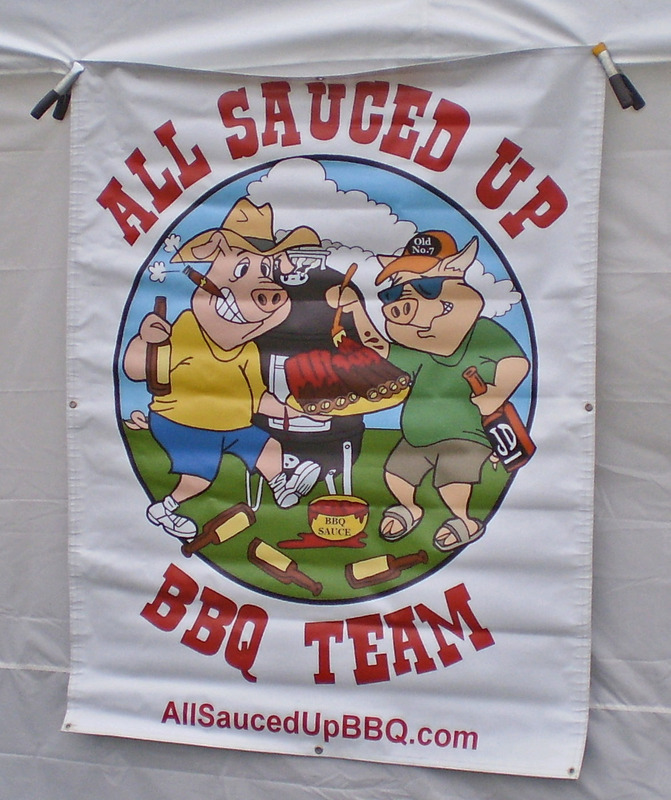 ‘All Sauced Up’ barbeque team won the overall championship today. 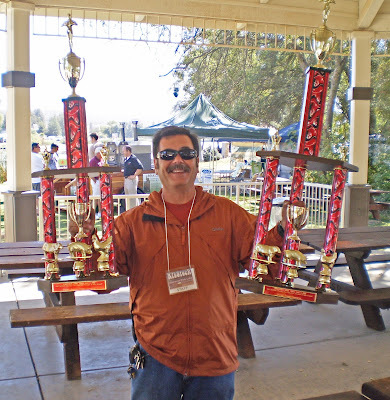 All the barbeque teams that competed were winners in my book. This was a great first time barbeque event held in a beautiful venue. 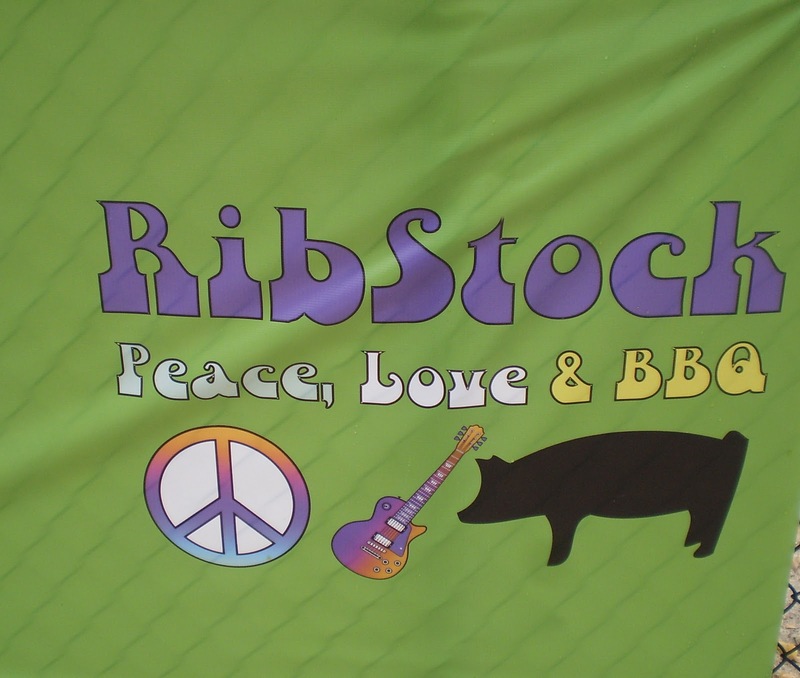 We are looking forward to next years Ribstock. Zoomie from "Zoomiie Station', is a very loyal fan of Mad Meat Genius. When Zoomie is not being the 'Wordsmith Extrodainaire', she is a superb canner of fruit jam and jellies. I was a recipient of some strawberry and peach jam. These were fruity sweet treats. 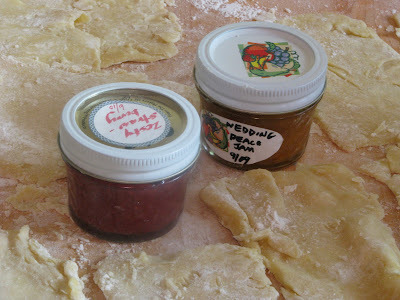 These delightful jams would be used for the filling of my take on the 'Pop-Tart'.These simple butter pastries will be called 'Zoomie-Tarts' in honor of the creator of its sweet jam filling. Let's get baking! Needles to say these were very buttery sweet treats. The crust was flaky and rich. The center was a sweet taste of summer fruit deliciousness. 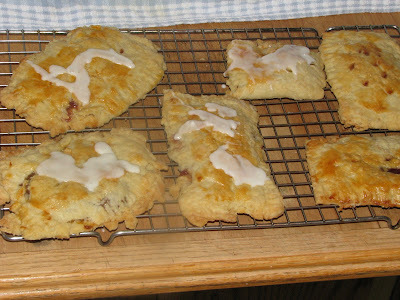 These were not the Pop-Tarts I remembered. They are so much better knowing the love and effort involved in their creation. Thanks Zoomie! 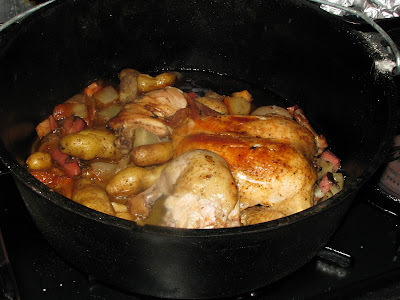 Dutch oven chicken is a comforting easy meal to create. A chicken is baked on a potato and vegetable trivet in a black iron oven. While the chicken is baking, it will release its juices of yummy flavor. The chicken fat will drip and permeate its vegetable throne. The Reverend Biggles has always preached on using a trivet and we did not sleep through this sermon. 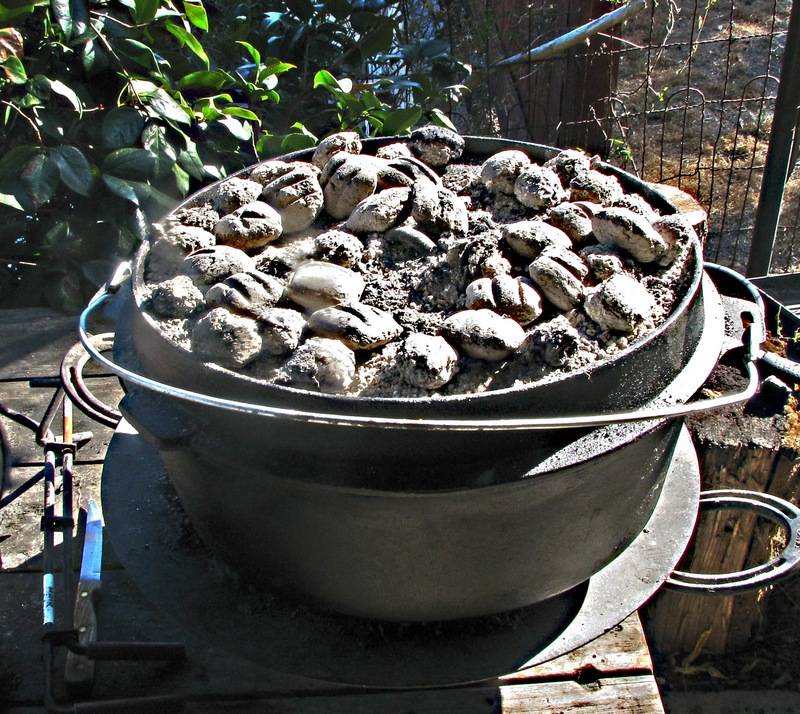 One of the advantages of cooking in the dutch oven is that your kitchen is spared the blast of heat of the oven. All cooking is done outside in our barbeque area. Charcoal briquet's are the fuel to heat our oven of black iron. Let's light up the coals. A pound of organic fingerling potato's from our monthly shipment from 'Farm Fresh To You', was washed and coated with extra virgin olive oil, salt and pepper. 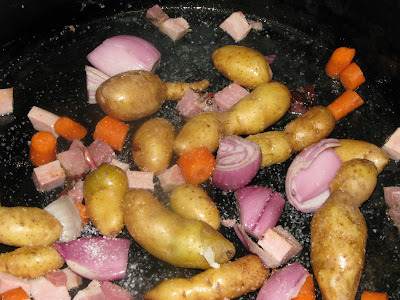 Some bacon lardons, carrots and red onions joined the potato's to form our trivet for the chicken. The back was removed from a whole chicken. It was flattened and rubbed all over with Survival Spice. A little splash of oil will coat the bottom of our oven. Lay the flattened chicken over the vegetable trivet. Cooking in a Dutch Oven is more efficient than your home oven. The only trick is to rotate the top and bottom 1/4 turn every 15 minutes. This will prevent any hot spots and promote even cooking. Our chicken took an hour to become 'fall off the bone' tender. This dish is more comforting than my couch on a Sunday afternoon. The chicken is moist and flavorful. The potato's and vegetables have browned and caramelized. They have a wonderful chicken flavor. Are they rich and decadent? Oh, Yeah!!!!!!! Do you have a passion? Laggry Noggle of Peppahead has a chile passion. He grows, sells, and creates all things of pepper. 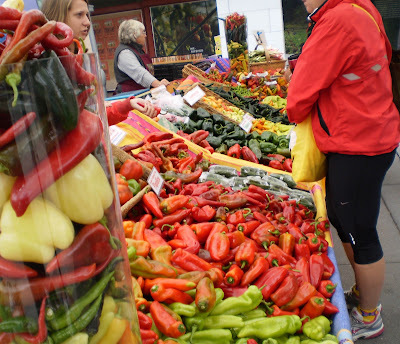 Larry's garden has numerous exotic varieties of peppers. Larry takes beautiful pictures and assembles them into a popular chile calendar. 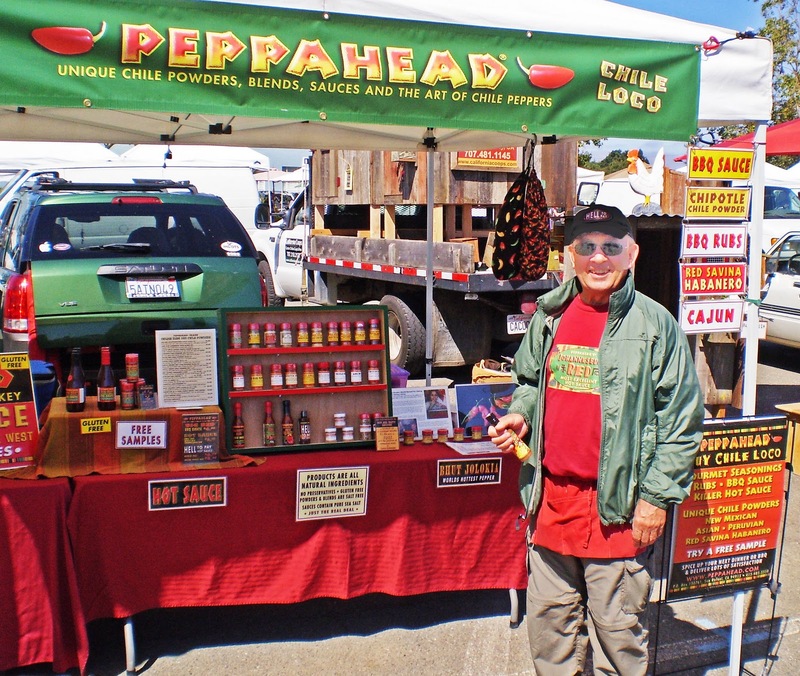 Chile rubs and sauces are concocted and bottled into fun and zany labeled containers and then sold at his farmers market stand. 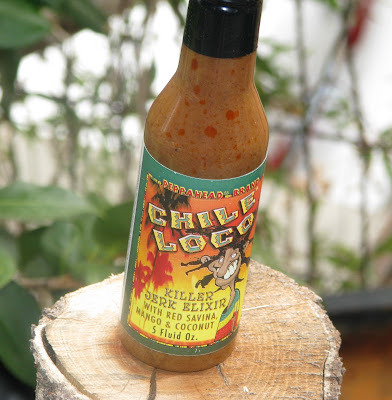 Today we are going to take a look at his 'Chile Loco' hot sauce. This is one delicious sause﻿. 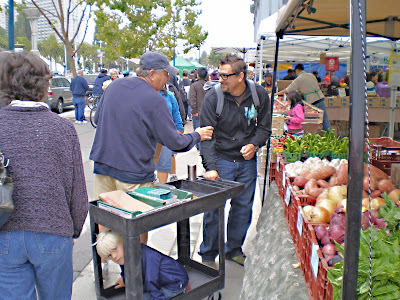 You can visit Larry at numerous farmers markets. He is an encyclopedia of pepper knowledge and will be happy to answer any pepper questions you may have. You can also purchase his products at his website. Take your tie dye out of the closet and prepare to let your freak flag fly. This Saturday at Cameron Park Lake, 'Ribstock' a KCBS sanctioned barbeque contest and music festival will be held. Ms. Goofy and I will be attending and judging. 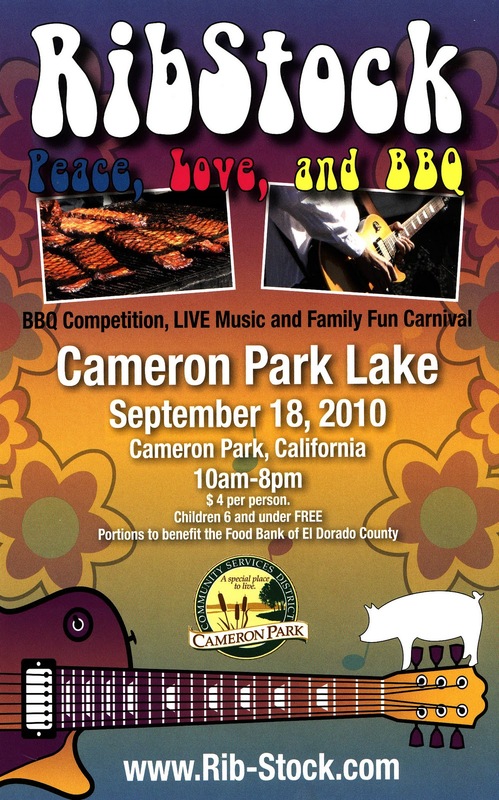 It should be a wonderful time of Peace, Love and BBQ! 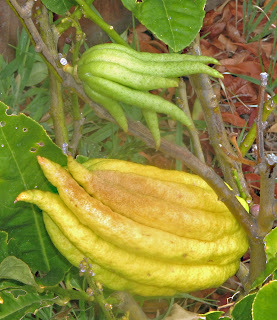 We have a 'Buddha's Hand' tree in our yard. It is a very fragrant citron citrus plant. I am fascinated by its appearance. 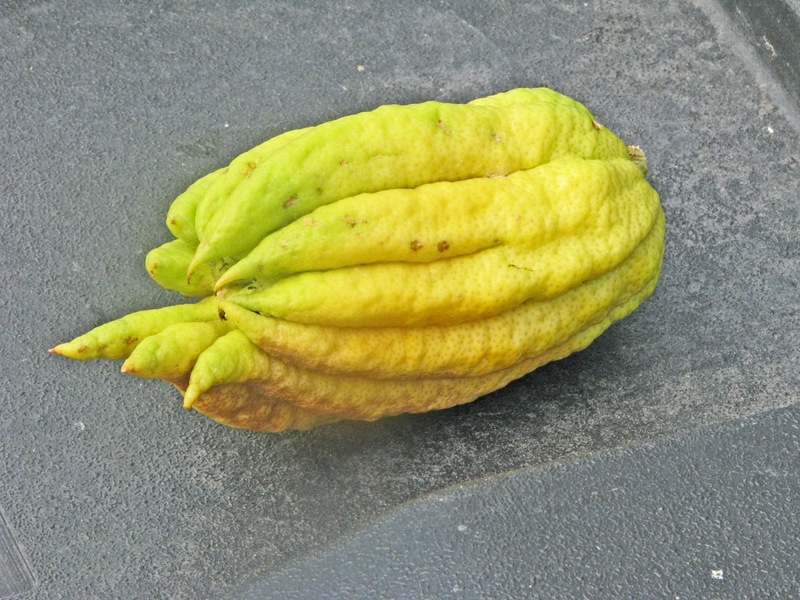 If you use your imagination the Buddha's hand does have a mythical life like quality.This fruit will perfume your house with a lovely lemony bouquet of fragrance. Our kitchen is full of our tomato's and other vegetables. The Buddha's Hand is a welcome addition. David Crosby, Rock Star, ‘60’s’ icon, poet, guitarist, drug addict, visionary and sperm donor extraordinaire, is a man who wears many hats. If you are a fan of rock and roll you will know his greatness and appreciate his ‘Genius’. He may be gray and look like Grandpa Walton, his voice may quiver, but listen and feel the greatness of his music. 'Pigs in a Blanket' bring back fond memories of cooking with the family. You would have to whack the tube of dough against the counter. Wrap the wienies, pop in the oven, and wait for the smell to grab your senses. It was time to bring back some of those memories with a new Chilebrown twist. Instead of using the 'Dough-Boy' tube, we will make some crescent rolls from scratch. 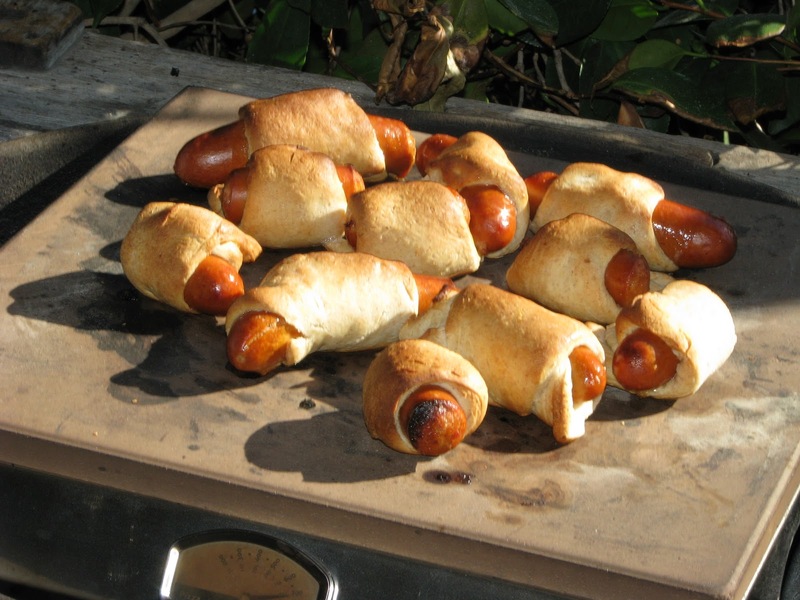 The 'Pizza-Que' will be the source of heat to cook these blanket cured pork cylinders of love. 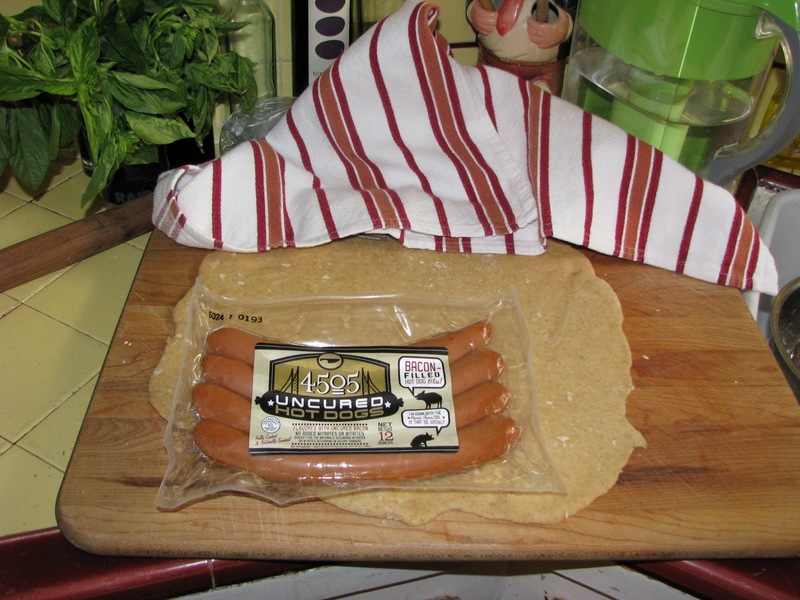 Instead of traditional wieners, some bacon hot dogs from '4505 Meats' will be our meat base. Proof the yeast in warm water. Cut shortening into flour. Add rest of ingredients and knead until dough is pliable. Cover with damp towel and let rise for 1 1/2 hour or until doubled. Punch down and roll out on to floured surface. Cut into triangles that will fit your dogs. Roll dough around dog let proof for another 20 minutes. Brush melted butter on top of dough. Cook in 400 degree oven for approx 14 minutes or until brown. We stocked our Weber with some hardwood charcoal. Once the fire was lit we place the Pizza-Que in place and let it heat thoroughly.Once the temperature was reached the rolls were placed in our oven. In no time at all we could smell crescent rolls baking. 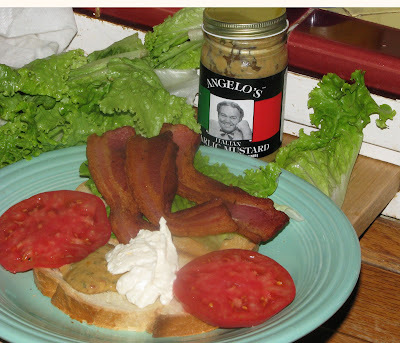 Oh my, Ms. Goofy began to drool and I got the mustard and smoked jalapeno sauerkraut ready. These hot dog rolls were so good. They did not taste the same as my recollections but they are creating new wonderful taste sensations. Two weeks vacation from the salt mine and so many ‘Meat Adventures’ to go on. 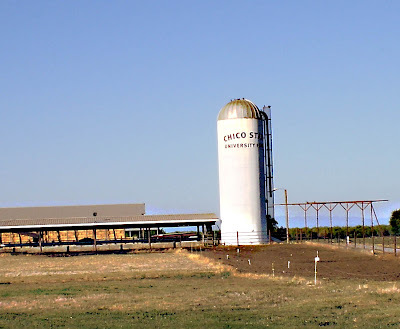 This Meat Adventure brought us to Chico California. We had a very successful visit to U.C. 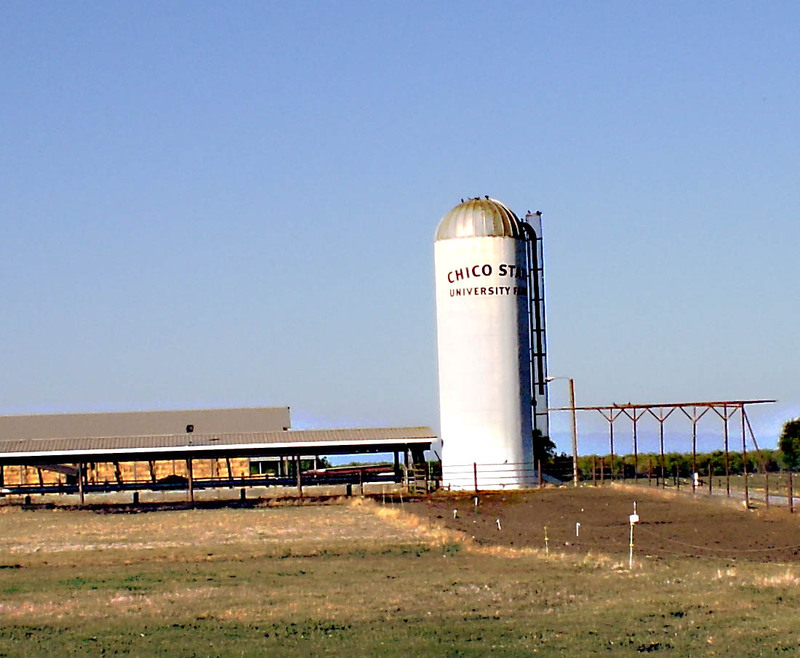 Davis Meat Lab, so we thought “Chico State” would be a meat department just as worthy. This Meat department had all the right tools and then some. 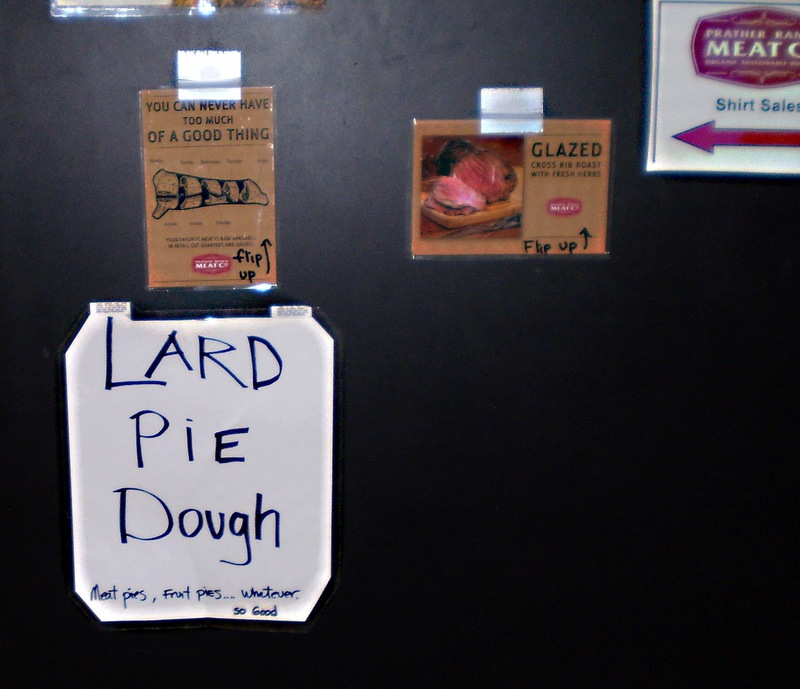 Except for the ‘Ebonics’’ take on their sign, they were a meat worthy destination. 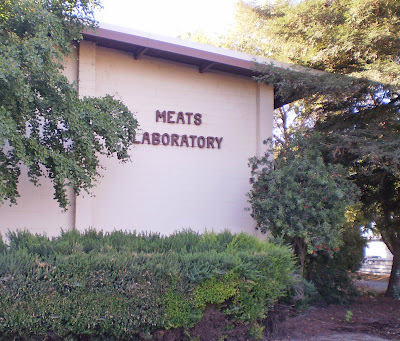 This meat lab was located in a rural area of Chico. You could see the cattle grazing on the grounds. The actual meat market was no more than a window which you placed your order. 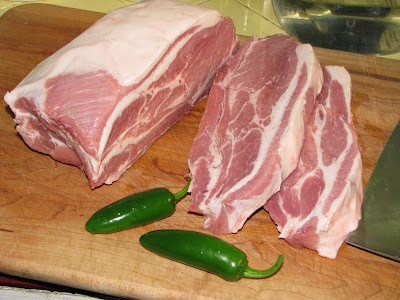 A pork shoulder of Yorkshire cross breed was obtained. This beautiful pork shoulder was obtained at a very decent price. 7 3 tablespoons freshly ground jalapenos. Combine the first 6 ingredients and let rest in refrigerator for a couple of hours. Once meat mixture is cool form into 1/3 cup rolls. 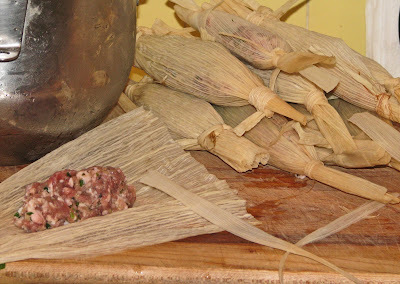 Then wrap in corn husks. 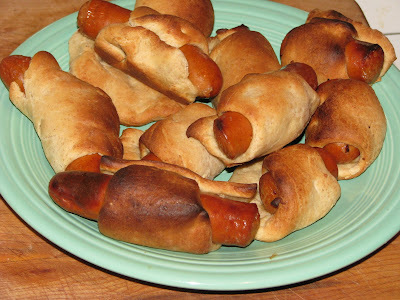 Smoke or cook corn husk rolls until the internal meat temperature reaches 150 degrees. 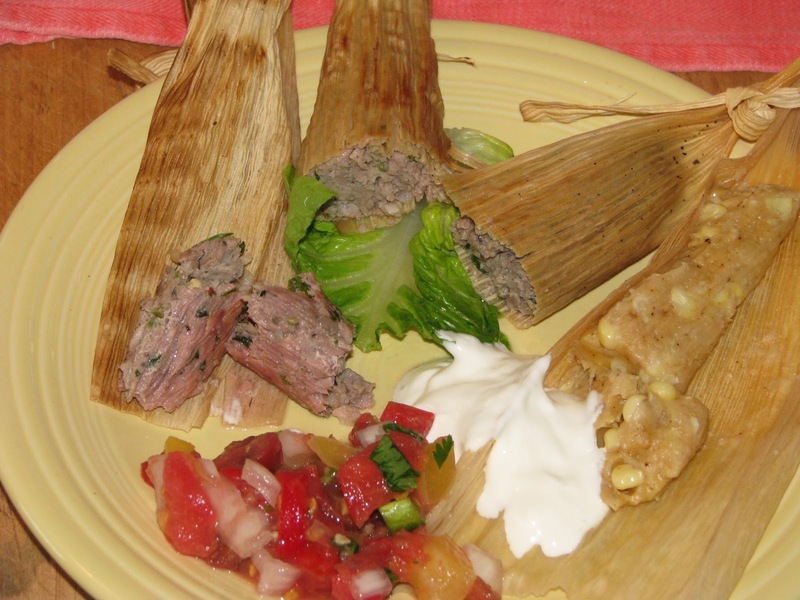 This batch of meat tamale was cooked on a Weber Smoky Mountain Cooker. The wood of choice was apple wood. A thermometer was placed in the middle of tamale to monitor the final temperature. Serve this with salsa and home made corn tamales. The salsa was a melody of home grown produce. The corn tamale was sweet with fresh corn. This sausage was smoky, spicy and bursting with wonderful pork juices. The corn husk protected and cradled this pork bundle of flavor. This Meat Adventure ended with very tasty results. 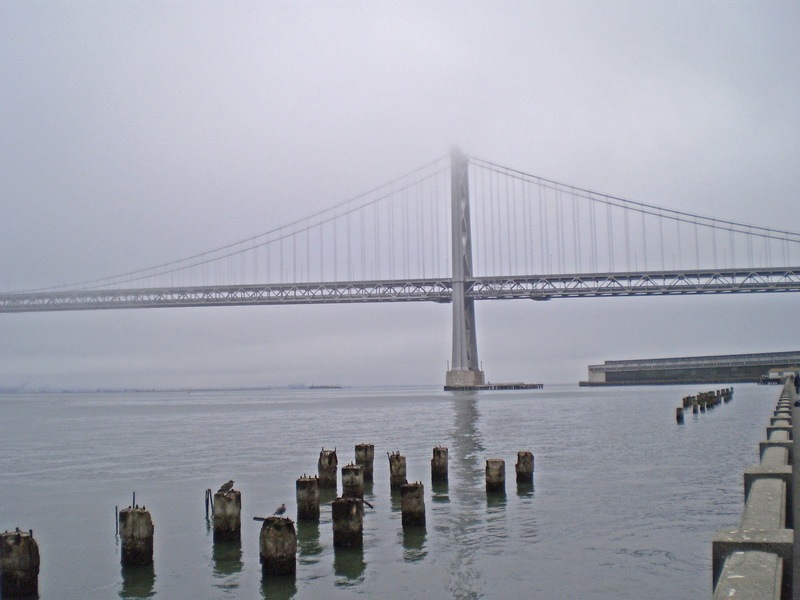 The weather has been fairly strange here in the Bay Area. Especially hot, and then mild, below normal summer temperatures have plagued our ‘West Coat’ climate. 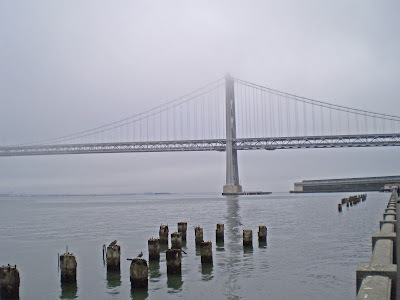 Today was a semi-normal day of being foggy in the morning and eventually warming up to the high 70’s later in the afternoon. 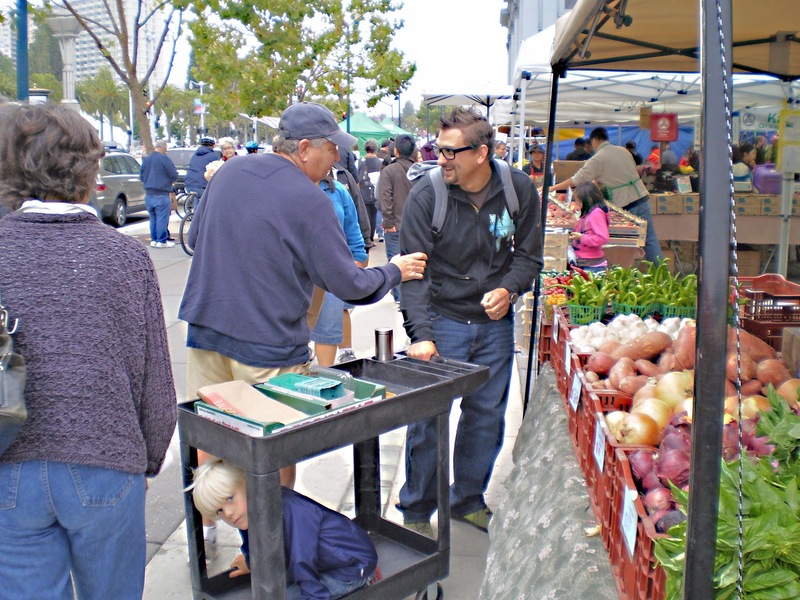 The cool weather this morning inspired us to go to the Ferry Plaza Farmers market in the ‘City’. This farmers market is a food destination worth going to in any climatic experience ‘Mother Nature’ wants to throw our way. 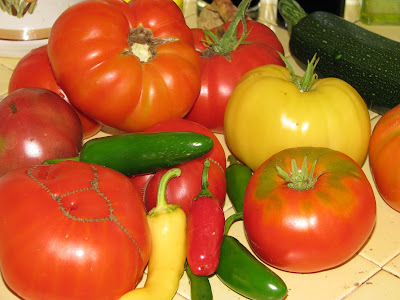 Tomatos and peppers are shining with their brilliant colors. Basil, oregano, and other herbs fragrance this tourist and food Mecca called the Ferry Plaza Market. We had a shopping list that we could not deter from today. We shopped and browsed some of the finest food products of the nation. We purchased our humble list and started to leave. Chris Cosentino and his son were acquiring food items to fill his shopping list. He did not recognize us so we just smiled and went our separate ways. We both had a shopping cart full of great food items. It was a good day in the ‘City’. WOOOHOOO!!!! We just received our letter of acceptance to judge at "The American Royal" barbeque contest to be held in Kansas City, Missouri. This is a three day event which will have over 500 teams competing. Ms. Goofy and I will be judging the "Open Contest' division. Needless to say we are very excited. We have never been to Missouri and have an itinerary of bbq restaurants, farmers markets, and microbreweries to discover. We will try to soak this all in over a seven day period. We hope to share some of our adventures. We cannot wait! WOOOHOOO! The Bacon Revue is hitting the road for a traveling show called Dees Meats in Galt. 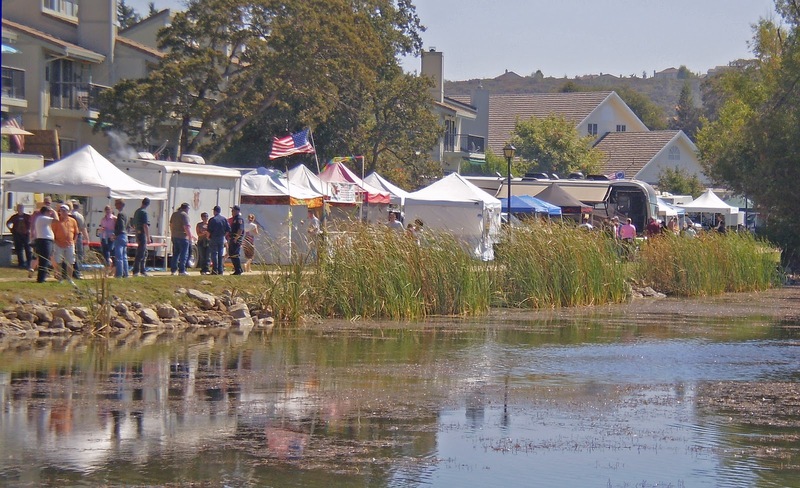 Galt is not the Celtic spelling of the 'Rich Man's' disease but a small rural town located south of Sacramento California. The Mad Meat Genius received a hot tip from Caleb Sehnert about a small butcher that created magic with his sausage and cured meat products. This small bit of information led to a wonderful discovery. You would never know about Dees unless you were guided there. The trusty GPS brought us to the front door of a small building next to a residential house. There was a fence around the house. We noticed about a half dozen St. Bernard dogs in the fenced area. These 200 pound Wooly mammoths charged the fence. It was a little intimidating until we figured out they just wanted to be petted. Once we finished greeting these beautiful guardians of Dees we entered a meat sanctuary. 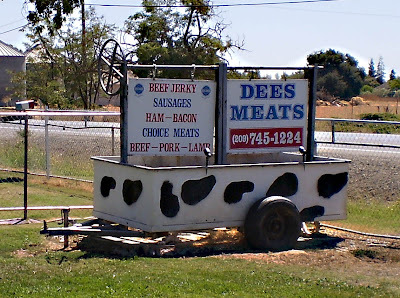 Dees has the whole range of meat products. They create and smoke sausage, hams, and jerky on the premise. We purchased some of the best choice rib-eye steaks ever. Today's act is all about the bacon. Some sliced 'old fashion' and some maple bacon was procured. We will concentrate on the Maple bacon today. The package was open and a maple aroma grasped our senses. The 1/4 slab leaned heavily to the meaty side versus the fat. It just had this beautiful mahogany sheen from the smoke and sugars. It tasted good just by the smell and appearance. A minor obstacle of the rind was removed before cooking in our trusty black iron pans. This was some meaty bacon. 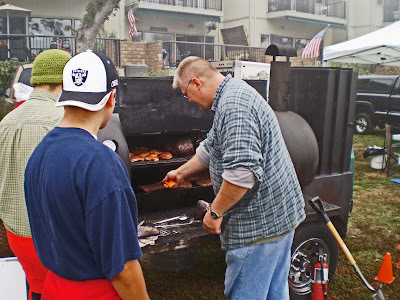 We cooked it low and slow because of the sugar content. It crisped up to a very nice texture. The salt to maple sugar balance was perfect. Smoke entered into this equation to tip the rating scale to 4.5 stars out of 5 for this designer bacon. 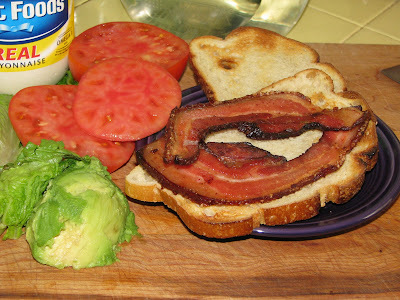 Our bacon, lettuce and tomato sandwich rocked our world. 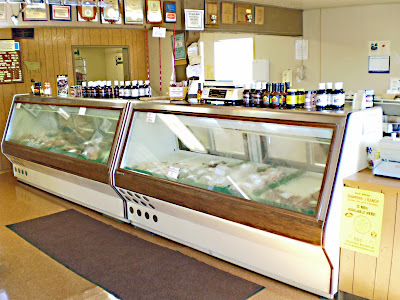 Dees Meats is a destination worthy of a visit, I guarantee! Where: 10145 Twin Cities Rd.